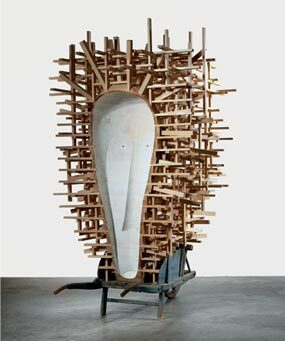 Martin Puryear lives and works in the Hudson valley area, upstate New York. He makes both monumental and freestanding sculptures from natural materials, including wood, tar, rawhide, stone and wire – materials that have a ‘raw, tactile and inelegant quality’. From these, he creates large, imposing, very well crafted geometric shapes. Although I haven’t seen his work first-hand, I get the sense that he likes to work with contradictions between the form and material used, eg by creating bulbous forms from brick and sharp, geometric shapes from animal hide – treating and transforming a once living organism into strong, durable material. He describes his practice as the building of constructions, where drawing up plans and making decisions on measurement and scale are crucial to his process. Although he sometimes stains his materials, he mostly keeps the material’s natural colour and rarely carves or casts. 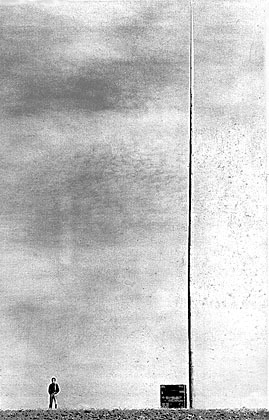 Puryear is influenced by woodworking, Shaker-style furniture, basketry, and construction techniques, a strong interest in other cultures and ornithology. Many of his wooden sculptures consist of latticed wood or wood that curves into bulbous shapes, as with the undulations in the hull of a boat. Before becoming a Sculptor, he studied crafts, how to build guitars, furniture, and canoes. In the late 1970s and early 1980s Puryear began making sculptures based on the Asian yurts – these are dwellings that consist of woven wood covered by felt and secured by large wood doors, creating interior spaces, that are secure, but unreachable. 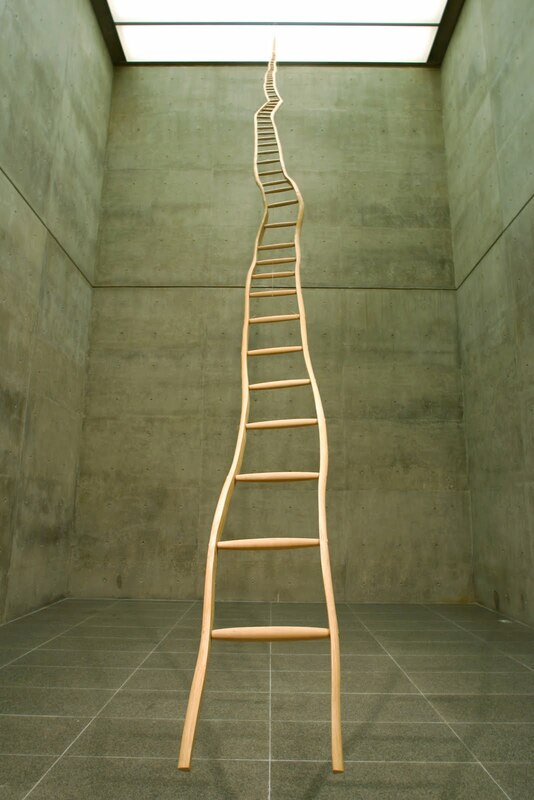 Made from a 36-foot-long, split sapling, the ladder becomes narrower so that viewers might question their perspectives and make the top look farther away. Booker T Washington (1856 -1915) was an emancipated slave and orator who took a softly-softly approach to campaigning for equal rights for African-Americans, stopping short of demanding the right to vote. This work comments on human condition, whereby you can feel superior in some instances (looking over box) and inferior in others (looking up at 100ft high poll). It also reminds me of pole vaulting, where there is a possibility you could reach that great height, and er… then crash down on a wooden box!